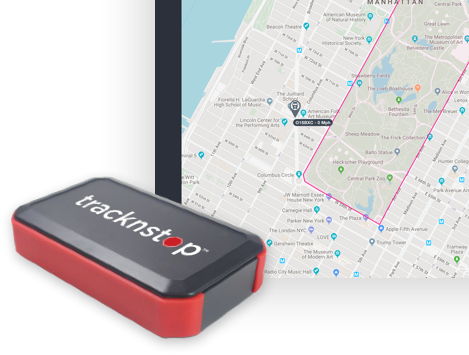 A week or two back I had a conversation with the Ireland-based CEO of the company Tracknstop, which pitches itself as a tool not only to help prevent truck and/or cargo theft, but to stop it in its tracks when it happens, as you’ll see in the video above. Declan O’Mahoney, said CEO, pitches the electronic device, which has been recently patented in the U.S. and is in trials with some fleets, in the context of international terrorists’ willingness to use large vehicles as weapons, which has of course happened in devastating fashion in Europe in recent years with larger-class trucks and here in the U.S. with a lighter rental unit. “We have millions of miles in Europe now,” O’Mahoney says, where Tracknstop is commercially available already. “There’s a lot of tracking companies who can tell you where the truck is and … all sorts of other things” about its operating status. “That’s kind of standard, mature technology, andthere’s a lot of players in that space.” (At once, it’s hardly universal — just more than half of owner-operators in Overdrive‘s audience via this ongoing poll have thus far reported utilizing some form of tracking occasionally or frequently.). What Tracknstop and a few other providers (such as the Magtec company) can do that most can’t is allow a remote operator to halt the vehicle when suspicious activity is suspected or detected. Find more about the Tracknstop company via this link to its website.